Artec Inc. was founded in May 2013. The members graduated from Tsinghua University, and have been in startup for years. The 'AT' is a share economy app with which you can anonymous help the strangers nearby. Artec names from 'Art' & 'Tec'. Just like the both sides of one coin, live together and againest each other, cooperation of the virtual and reality. Art change mind, Tec free hand and Sharing realize dream. Deng is the founder of Artec Inc. 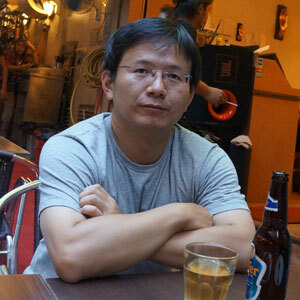 He graduated from NUPT in 2002, and post graduated from Tsinghua University in 2006. He co-founded EStrongs Inc. in 2009, and founded Artec Inc. in 2013.